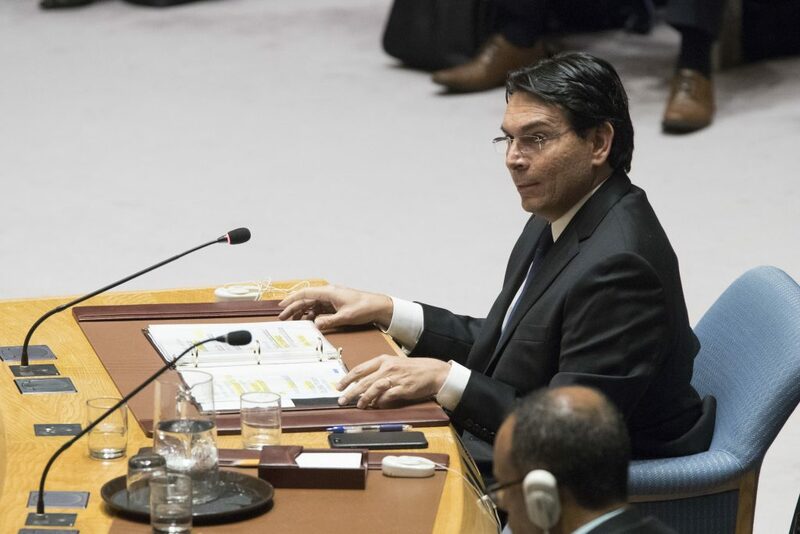 Danon was speaking as the United States and the European Union agreed on the wording of a resolution to condemn Hamas terrorism. The resolution will condemn Hamas terrorism, and call for the restoration of Palestinian Authority rule in Gaza, as well as expressing support for the two-state solution. All 28 EU nations, as well as the United States, will vote for the resolution. This is the second time a resolution to condemn Hamas will have been raised in the U.N. General Assembly. Last June, a similar resolution was defeated, with 632 states voting against and 58 in favor. The resolution was changed to include demands by the EU on restoring PA rule in Gaza, thus guaranteeing the EU votes, and increasing the chances for the resolution to pass. On Friday, some 10,000 Gaza Arabs rioted at the security fence, attacking IDF soldiers with rocks and firebombs. Rioters burned tires, and attempted to break through the fence. Commenting on the riots, a senior IDF official told Channel 20 that contrary to reports, “Hamas has not restrained itself. Just the opposite, they have taken a decision to ramp up the violence. It’s not clear where this is leading, but it is clear that it will continue.” A report Friday said Hamas intended to ratchet up its terror activities against Israel, after a meeting of top Hamas terrorists last week. The uptick could occur as soon as Friday, with increased rioting at the Gaza border fence. The activities will also include a return to balloon and kite terror and attempts by Hamas terrorists to breach the border fence, the report said.